I know. This photo is terrible. 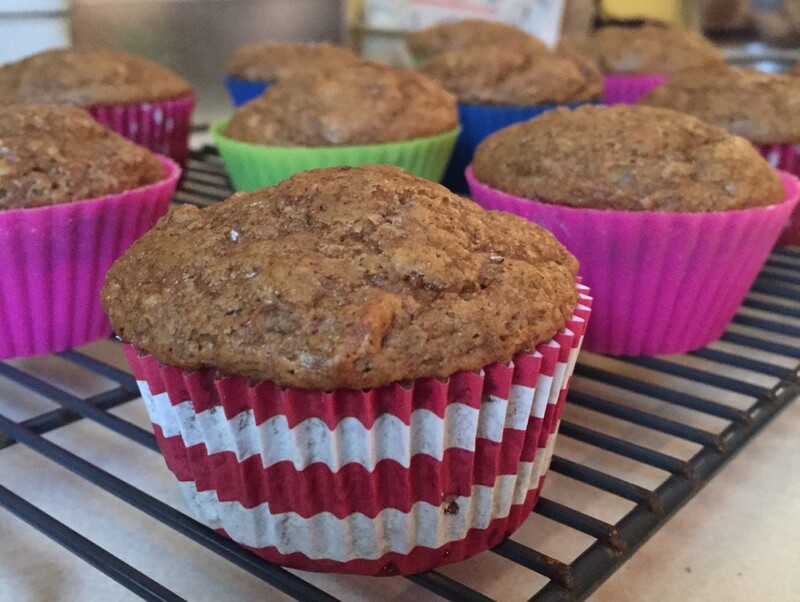 But I just realized that the recipe for these amazing Banana Yogurt Muffins, my very first original muffin creation, was up only on my old Tumblr site, and that’s simply unacceptable. Every time I eat one I’m surprised at how good it is, because the entire recipe only has 1/4 cup of sugar, and no oil or butter whatsoever. There’s only one cup of flour, even, and yet they don’t turn out shrimpy or shriveled as one might expect. They’re big and fluffy and light and satisfying and have a perfect mix of banana, cinnamon, and nutmeg. The peanut butter really provides an undertone rather than a main flavor, but it’s indispensable. Maybe that’s the magic part, I don’t know. Make them now. They’re easy and healthy and delicious. I’m heading into the kitchen right after I finish typing this to do exactly that. Preheat oven to 375 degrees F. Grease muffin cups or line with paper muffin liners. In a large bowl, mix together flour, baking powder, baking soda, salt, cinnamon, and nutmeg. In a separate bowl, beat together the banana, sugar, egg, peanut butter, and vanilla. Stir in the yogurt. Stir the banana mixture into the flour until just combined then scoop the batter into the muffin cups. Bake for five minutes, then, then DROP the temperature to 350 degrees. Bake for 10-20 minutes (mine took 15), or until a toothpick inserted into the center of a muffin comes out clean. Let cool before serving (eating). I think these actually taste better the next day, so I recommend making them at night. Sometimes I put five cinnamon chips on top of each muffin right before baking, enough to make them more treat-like but not enough to affect the calorie count/health benefits. Adding peanut butter chips would be delicious too. You can also just use brown sugar, and eliminate the white completely. If you only have plain yogurt, just add a little more vanilla. I just tried sprinkling a little cinnamon sugar on top, and that was lovely.